Measuring success and failure is a constant part of my daily life. Did this team succeed in hitting their goals today or did they trip up and fail. In the business world measuring success is not about winning outright in so as much as it is hitting goals. For a practical example, I could say that a 20 person team I have staffed to produce 10 units a person over a 8 hour shift should ship out 200 (or 25 units per hour). In my world, hitting that target is a victory. What if there were other teams to measure it against. A company across town that produced the same product as me. Would they be doing it at the same rate? If they were more productive, would it be the same quality? Are they using the same materials? Are they paying more? On the most basic of levels, this is what we are talking about in regards to sporting competition. There can be only one winner in professional leagues across the world but the measurement of success for teams that don't quite get there varies wildly team to team, season to season. With Major League Soccer we see plenty of trophies that help answer the "my local team didn't win the MLS Cup but did my team have a good year?" question. Let's do a quick rundown of MLS measurements of success. You've got making the playoffs (10 of 19 teams), winning the conference (East or West), Supporters' Shield winner (team with best record overall) and finally MLS Cup winner. Now - outside of all those things we also have the US Open Cup and CONCACAF Champions League for teams to achieve. That's a lot of damn things for a league of just 19 teams to earn. Oh, that's to say nothing of the increasingly popular preseason tournaments and mid-season international cups featuring foreign super teams. It's overwhelming really. How about we strip it down a bit. MLS sat at 19 teams from 2012-2014. Three full seasons. Gloriously simple since the league plays a Spring to Fall schedule. There you have it, LA is the best MLS team since 2012. Chivas, Philly, TFC are the worst. 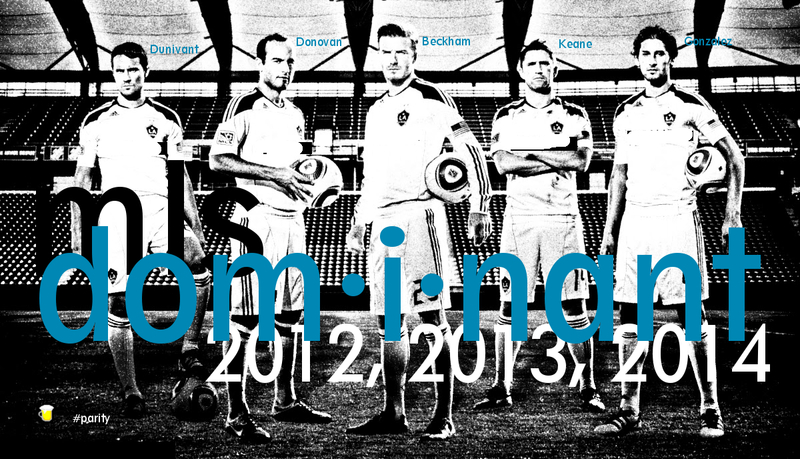 I left it all in there to drive home the differences in team success and failure over the past three MLS seasons. Now... on to more interesting things; How MLS teams do in the US Open Cup and CONCACAF Champions league.